Good morning, all. It’s been a bit of a crazy week, and it has prevented me from posting until now. And now, my friends, is not my best time. Unfortunately, I ate something off on Wednesday evening, and spent all of yesterday suffering the effects of food poisoning. Although relatively minor in severity, my symptoms have made it quite impossible to eat normally, and when I do eat, it’s mostly ak-mak crackers and plain oatmeal. Even then…nah, I won’t go on. 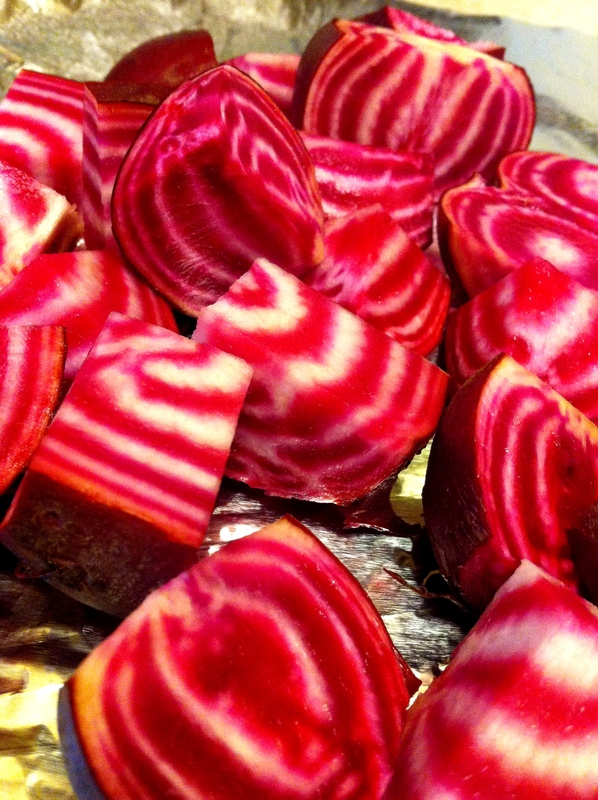 Bounty: Gorgeous candy-striped beets. I braved the oven to roast these puppies. Delicious. 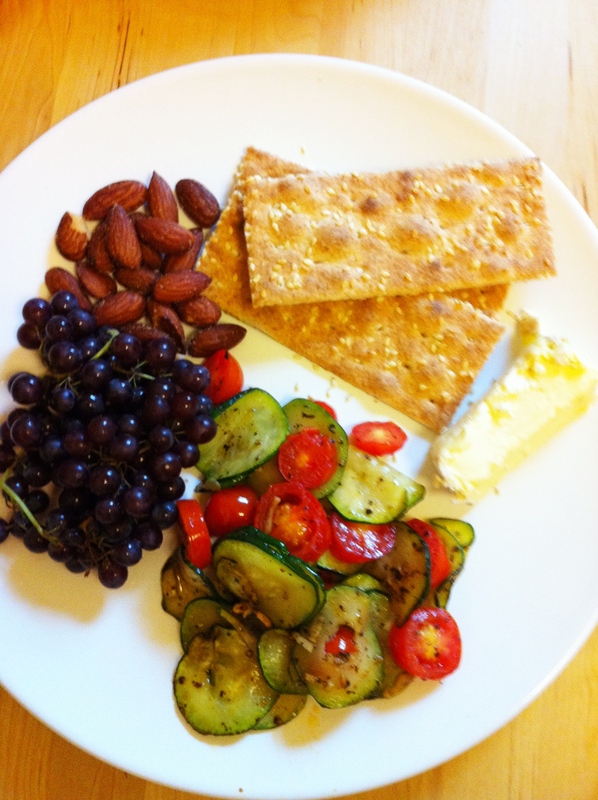 Picnic Dinner One: Ak-mak crackers, brie, champagne grapes, roasted almonds, and a quick blistering of thinly-sliced zucchini, tomatoes and garlic. Picnic Dinner Two: More champagne grapes, a white peach, kiwi, and yogurt with a bit of granola. 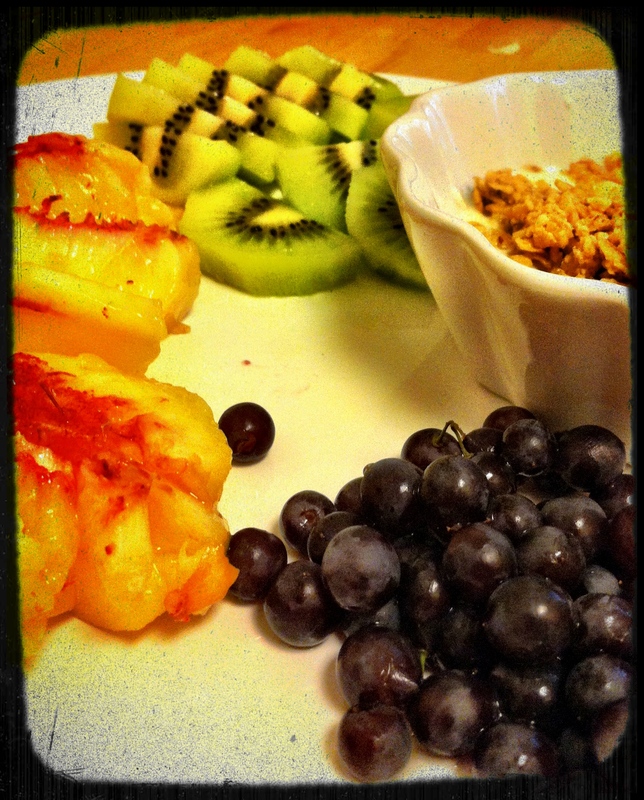 Who says you can’t have yogurt and fruit for dinner? Coup de Grâce: The Icebox Pie. 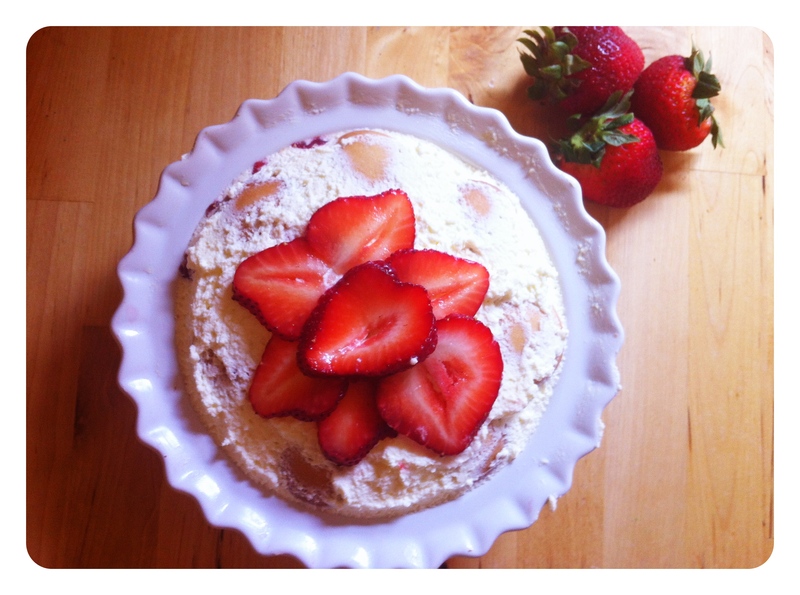 Made with homemade whipped cream (with bit of orange extract, vanilla and powdered sugar), nilla wafers and strawberries, this pie is refrigerated for about 6 hours so that the wafers absorb the moisture of the cream and strawberries, and the whole thing takes on the consistency of a fudgy cake. Looking at this food has made me a bit desperate, but my stomach will prevail…after a while. Next week is Restaurant Week in DC, and I’ve already planned a trip to Zaytinia in Chinatown. Unfortunately, I won’t be ordering the hummus, but I’m psyched to taste the rest of their special menu. Then I’ll be off to the wilds of Wisconsin for some lake-side leisure, followed closely by a trip to New York. I’m sure to find something to write about there, so stay tuned. Happy Friday, everyone!